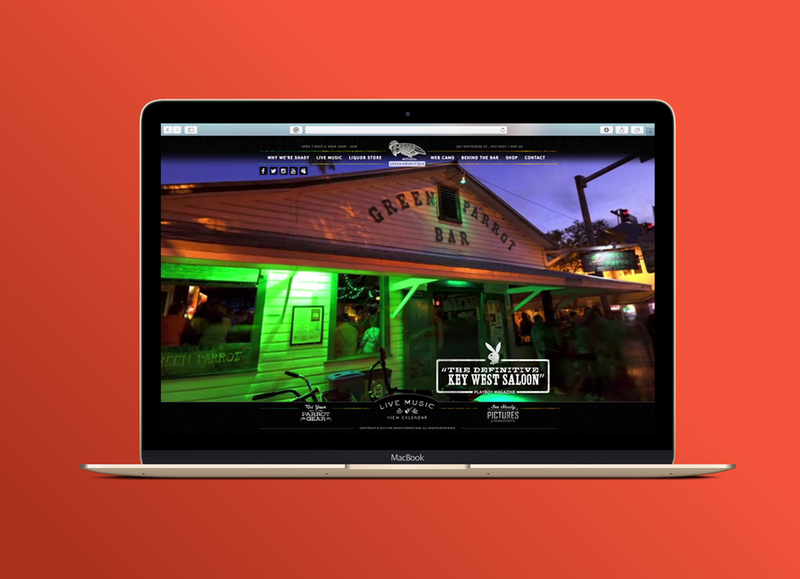 The Green Parrot Bar in Key West, Florida is one of the most iconic dive bars in the United States. Nationally acclaimed for its live music performances, no-nonsense, unpretentious personality and the fact that not much has changed since their doors opened back in the 1890s, it’s certainly a favorite amongst locals. 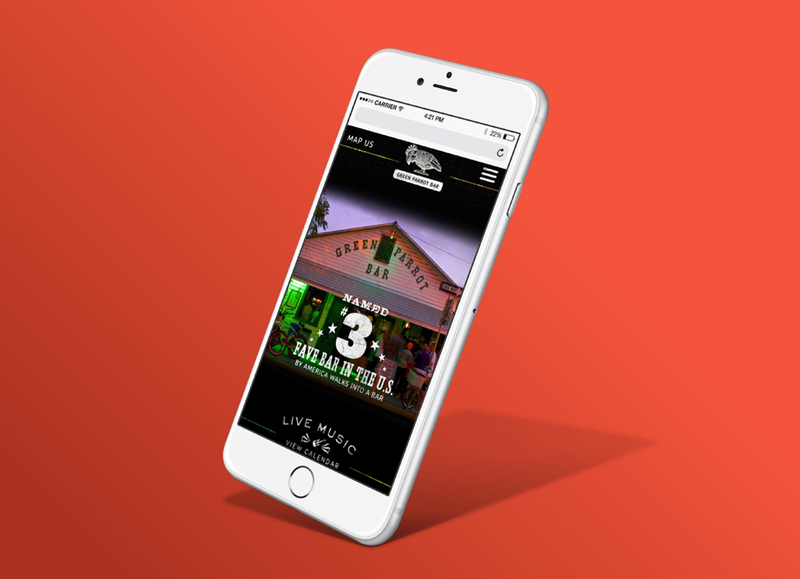 BlackDog was tasked with delivering a website redesign worthy of the Green Parrot name, and we were absolutely honored. 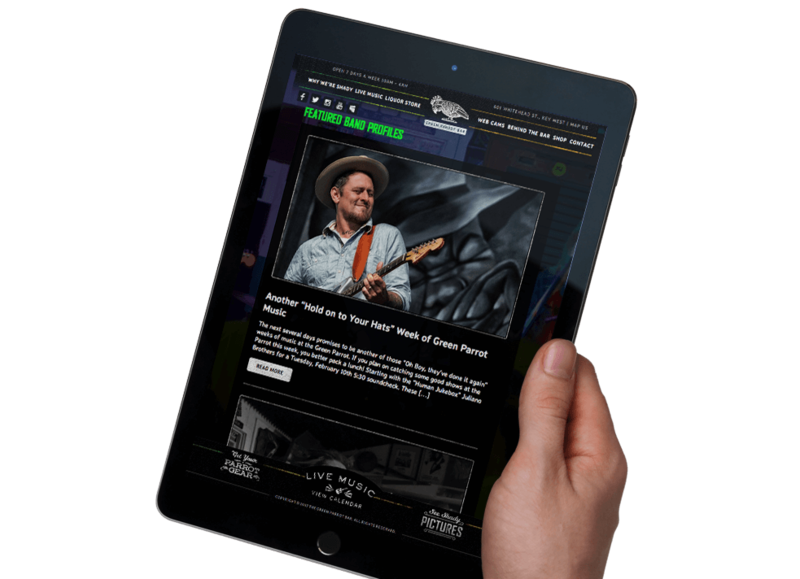 We like to call it “total brand immersion.” Once we had the Green Parrot vibe firmly imprinted in our souls, we got to work designing the website. Our strategy was to show viewers the real deal and to pay proper homage to this dive bar’s legendary reputation. So we shot video, took tons of pictures and handcrafted a platform for visitors to interact with the bar owners Pat Croce & John Vagnoni (since they love to talk about the bar, write about the bar and take pics of the bar.) From full screen videos to unique shady photos, we gave Green Parrot fans (and curious onlookers) a seat at the bar. Quick access to both bar webcams lets you see who’s rocking on stage and who’s hanging out at the bar. You can even be a part of the action by posting your own pics with #greenparrotbar to our shady pictures feed. 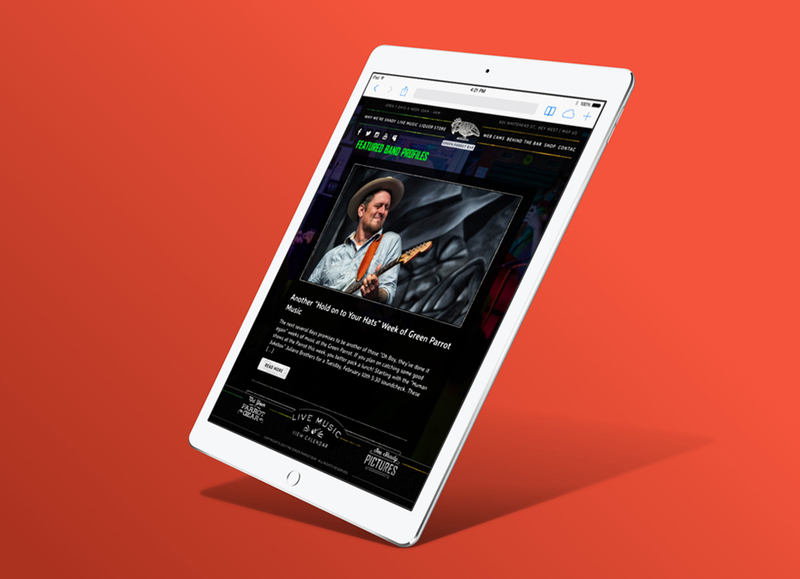 In addition, the live music calendar allows you to get up close and personal with the musicians, learning about their music and when they’re performing at The Parrot. The results have been nothing to squawk about. The Parrot staff is loving the ability to add content and photos to the site.